If you are looking for my Holiday Coffee Lovers Blog Hop post (with candy! ), please click HERE. If you are looking for my Christmas GIVEAWAY post, please click HERE. Both of these end at 11:59 pm, Sunday, Dec. 14th! I am here with a fun little set of cards. This is for the Viva la Verve One Sheet Wonder Challenge. 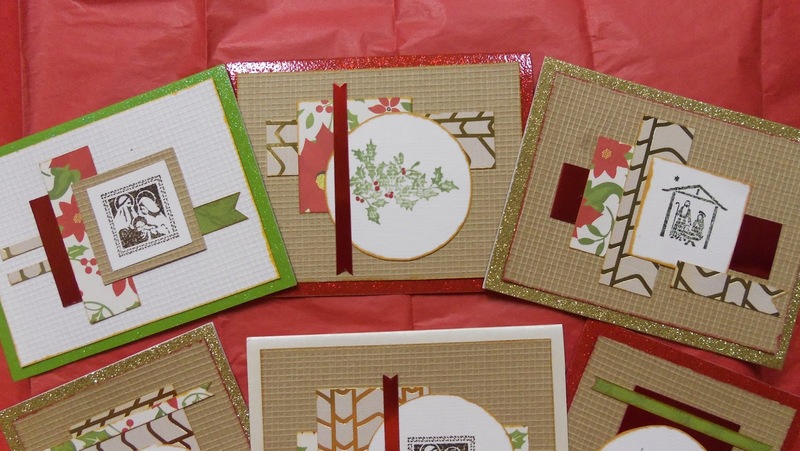 This particular plan designed by the awesome Julee Tillman is an amazing way to make 4 different cards from one double-sided 6"x6" piece of patterned paper. The cutting guide and sketches are easy to put together and look fabulous!! All you need besides your pretty piece of paper are some neutral colored circles and neutral card bases.......or in my case....glittery!!! :) :) :) You know I cannot resist using something shiny (like foil) or glittery to jazz things up, especially this time of year!!! Here's one set of 4 using the plan. Are these fun or what???? I inked around the edges of my cut pieces with some Spectrum Noir markers. For my focal panels, I used a luscious heavy paper I've had for years. My sis-in-law got a humongous stack at a yard sale and gave me a bunch of it. I absolutely love the pale ivory color and the thirsty texture. I used Distress inks in Walnut Stain, Bundled Sage, and Forest Moss for stamping. My backgrounds are from the DCWV Woven Stack. The burlap-ish texture and uneven weave seemed just right to make these cards have a mix of elegant and rustic elements. With the other pieces, I put together the other 6 cards my friend requested. I used the other color in the Woven stack for these backgrounds. Which color do you like better?? I think I like the brown better, but the white looks great, too. I mounted each of these card fronts on to premade DCWV card bases in red, gold, and green glitter and also in cream shimmer. Do you like them? By using the equivalent of two double-sided sheets, I was able to put 4 patterns on each card (although one sketch only needs 3) giving me more flexibility. I hope my friend will be pleased with her order. Ding Ding Ding........New Follower Introduction Time!!!! I am thrilled that so many of you who visited for my giveaways this last week have decided to become followers!!! The only names that show up on my sidebar are those that follow by Google Friend Connect. So, please, if you become a follower by email or Bloglovin or some other port of entry, please let me know in the comments so I can introduce you, too!!! 1. Holly Flores of KopyKat Creation also entered the Coffee Lovers Hop and made a couple of super-cute creations. Did I mention she has candy????? :) Her sidebar is full of awards, so you know you will be inspired when you visit her!! Thank you, Holly, for becoming a follower. Your support means a lot to me!! This ginormous smile is for you!!! 2. Nancy Carroll of My Crafts has a gorgeous G45/PaperTrey project on top at her blog right now. You won't want to miss it. She also has some other really nice cards in a variety of genres. Nancy, I appreciate you becoming a follower. This ginormous new-follower smile is all yours!!! 3. Indy of Indy's Designs really went to town on the Coffee Lovers Hop. She made three fabulous projects!!! And she has candy, too!!! Woohoo!! Indy has a fresh, happy style that is delightful to see. You'll want to visit her, for sure!! Thank you, Indy, for hitting that Follow button. This ginormous smile was all over my face when I saw I had a new follower!!! I also have some new email subscribers. I have a special place in my heart for those who are willing to let my posts fall into their inbox each time. I am honored. Really. 1. Lissa Goldsmith - I couldn't find a blog for you, Lissa. If you have one you would like me to mention, please send me a note. Thanks soooooo much for becoming a follower by email. Here's your ginormous smile!!! 2. Marla Howell of Happy Scrapper uses gorgeous and vibrant colors in her work and lots of vintage images. What's not to love about that???? You'll enjoy seeing her projects!!! Thank you, Marla, for choosing to subscribe by email. I am thrilled and honored. Here's one of my ginormous new-follower smiles for you and you alone!! 3. 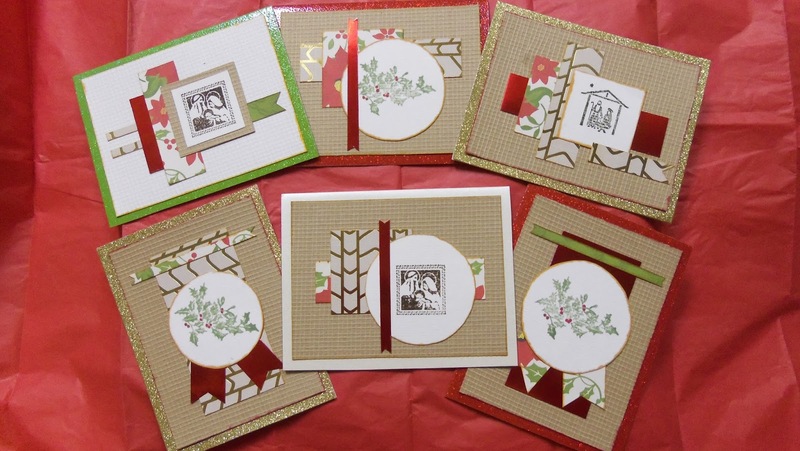 Sherry Butcher of Scrapbooking & Card Making by Sherry has some lovely winter projects on her blog. I enjoyed looking at each of them. Thanks so much, Sherry, for becoming a subscriber. Your support is a great encouragement to me. That's what keeps these ginormous smiles on my face!!! Here's one for you!!! 4. Sandy Lewis mentioned in her comment that she was a new follower, too, but I can't see which port she used. I couldn't find a blog for you, Sandy. But if you will send me a note with a link to your blog or gallery, I will be glad to post it. Thanks for becoming one of those invisible followers. I must have 1000s of them!! Ha. This ginormous smile.....NOT invisible....is especially for you. Thank you, everyone, for stopping by. Be sure to check out my giveaways (see top of this post) because they end soon!!! Have a lovely rest of the weekend. 2. 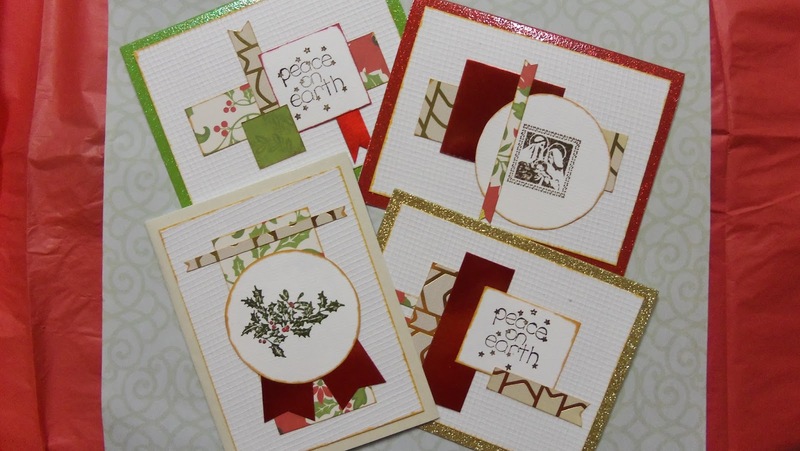 Vandicrafts Artistry Challenge #21 - Anything Goes w/ opt. of Squares. 3. Simon Say Stamp Wednesday Challenge - Bling it On! Thank you, Melissa! Hehehehe....you are using a broad interpretation for the squares option on your challenge. :) Thanks for your nice comment!! 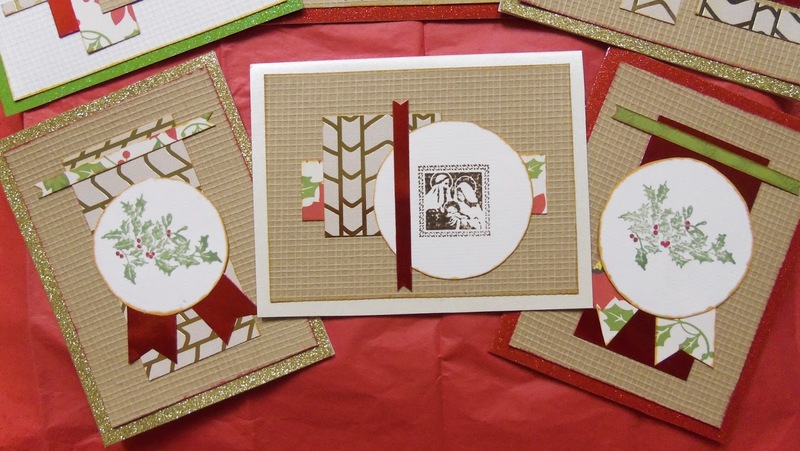 What a great way to make your Christmas cards, Janis; a great time saver! Thanks so much for sharing this with us at the Simon Says Stamp Wednesday challenge! Thanks, Lin. I appreciate you stopping by and leaving your sweet comment. LOL abt your dog! Eeek! Thanks for your visit and kind words! Such gorgeous cards. WOW, you've been busy. 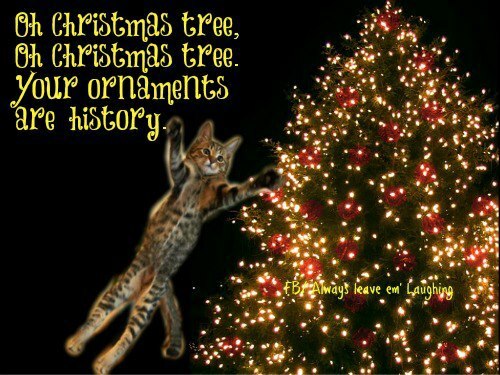 I have to get really busy this week, as I have a few orders for cards I need to fill before I miss Christmas altogether. These poor people are waiting on me - God bless them. Life is just SO busy. Thanks for taking the time to share with us. This is such a beautiful set of cards! Love the glitzy card bases. Thanks for playing along with Viva la Verve! Thanks so much, Julee, for visiting and leaving your sweet comment. I had tons of fun using your OSW plan and my friend LOVED the set of cards I made for her with it. Thanks for sharing your amazing creativity with all of us. Whoa Janis!! These cards look amazing! 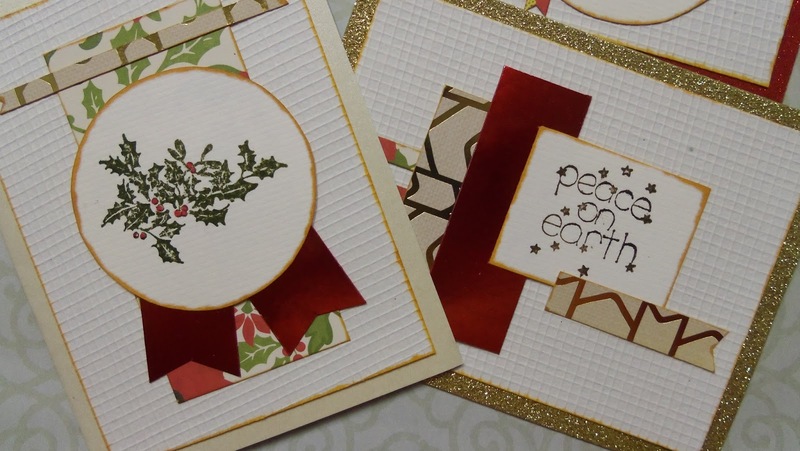 I love both versions of them and am going to have to check out that challenge and card sketch because these really look fun and fresh...and easy to use for multiples! 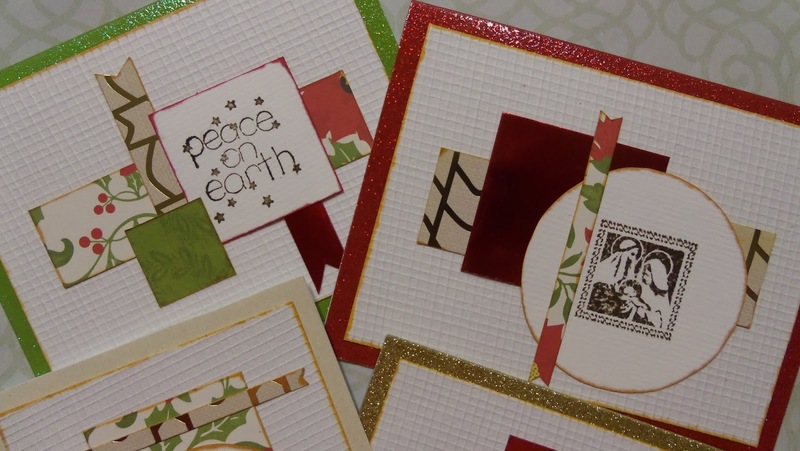 Of course, your choice of card bases and colors really make these designs shine! I especially love the way you use such a mix of textures and papers to add interest! Thanks, Karen! You definitely should check this challenge out. These were a lot of fun. I know you will rock these sketches like crazy....I can't wait to see! So many beautiful cards! Fantastic sketches and nice papers too! Thanks so much for playing in my Monday Morning challenge! Thanks so much, Ellie, for your sweet comment and thanks for becoming a follower!! Your kindness means so much to me!! !